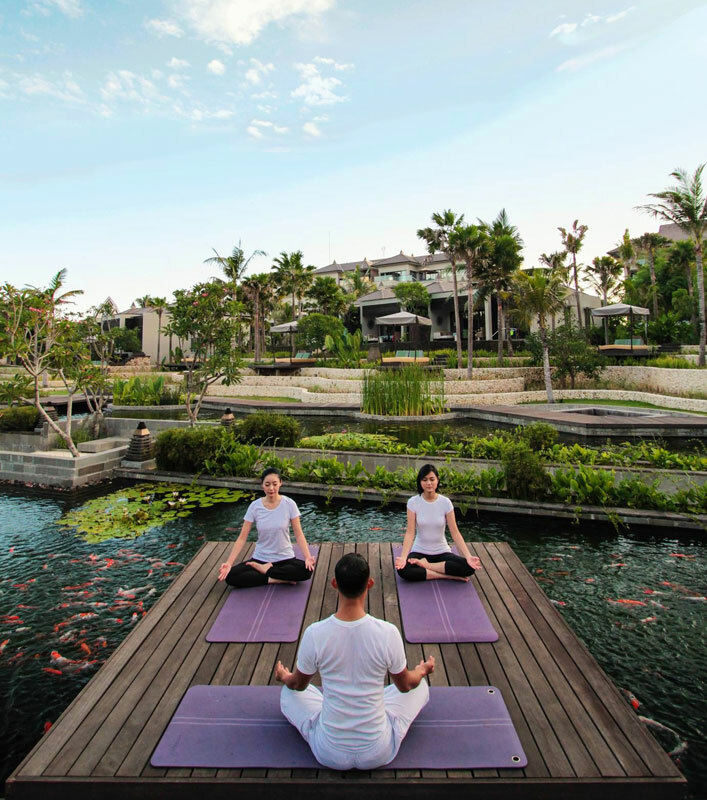 Are you tired of Bali’s beaches, mountains, paddy fields and greenery? Do you wish to delve deeper into the cultural side of the island? If you’ve travelled to Bali often enough, you must have heard about Nyepi Day, also known as the Day of Silence or the Balinese New Year. 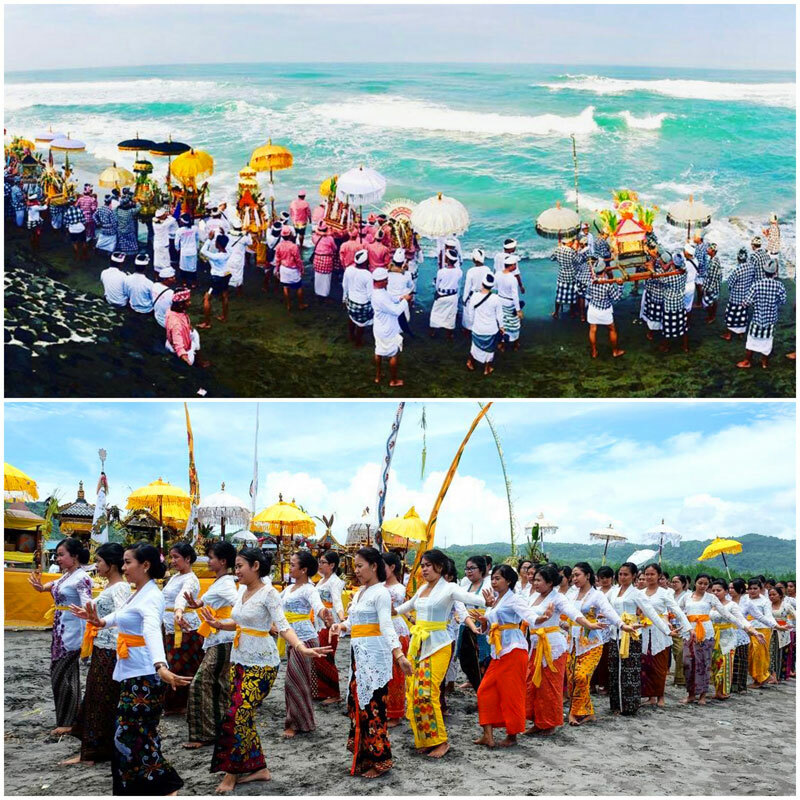 Before and after this special day (which is very important to the Balinese), a series of rituals and celebrations are held, which are meant to restore the balance between good and evil, Gods, men and nature. Having lived in Bali for about 5 years, to me, Nyepi is like the best of New Year and a carnival, a huge feast for the eyes and ears, followed by silence and introspection (instead of hunger and hangovers) and I find it beautiful! 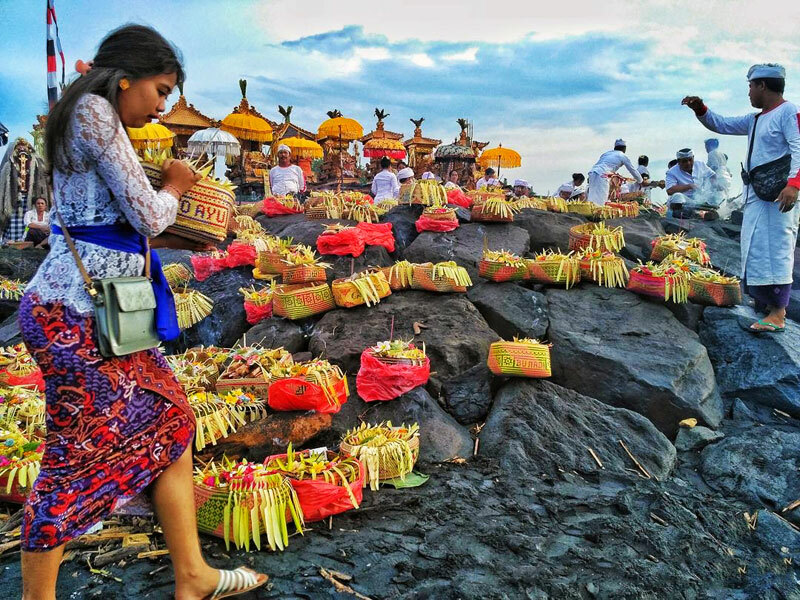 Some people are disappointed as Nyepi Day itself is a full day of complete silence and staying indoors takes away one entire day of their holiday, so many non-Balinese living in Bali often escape the island during this period. On my 3rd Nyepi, I was living in a small homestay owned by a Balinese lady. I was afraid the rules would be super strict so I booked a one-way trip to Flores. But due to the crazy flight fare hike after Nyepi, I ended up flying back on the evening before Nyepi Day. I did some quick grocery shopping (just in time, as the shops were closing early), went to see the Ogoh-ogoh parade, and spent Nyepi Day peacefully, painting in silence on the little porch of my room. And I actually enjoyed the day very much! 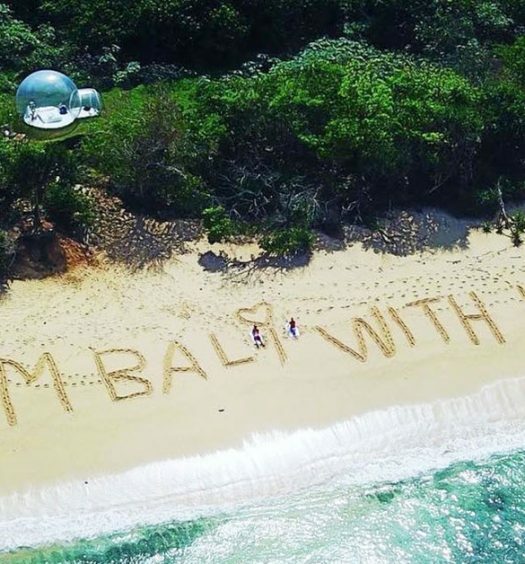 77 Extraordinary things to do in Bali that your tour guide might not even have heard of! 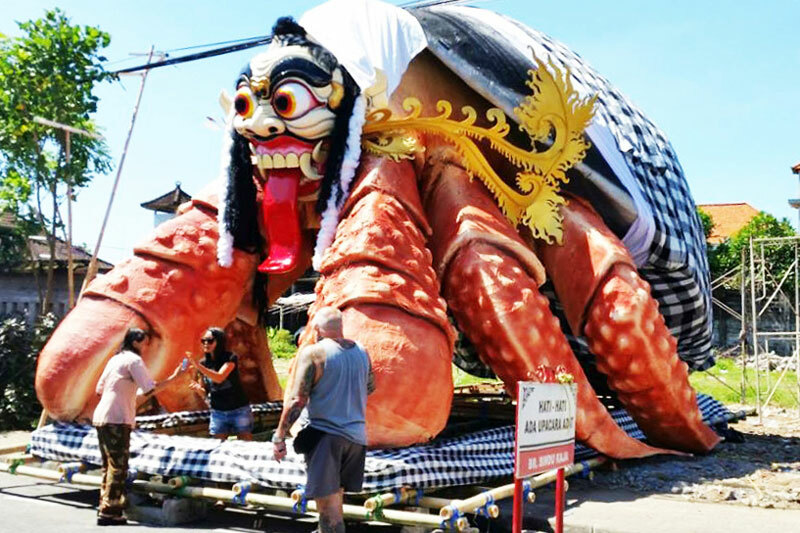 The preparations for the Nyepi celebration rituals start weeks before the actual date with the crafting of the big Ogoh-ogoh puppets. When travelling around the island, you will probably see some in the making. 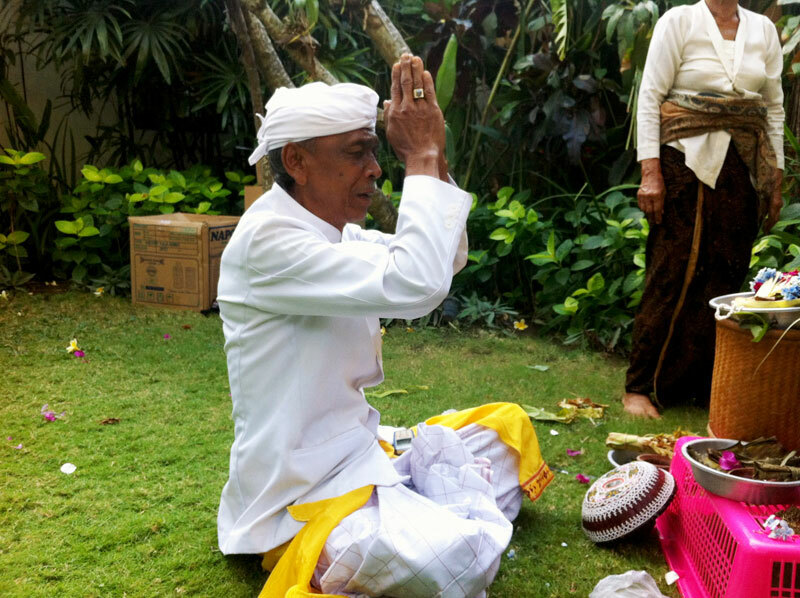 The actual rituals starts 3 to 4 days before Nyepi Day with Melasti. 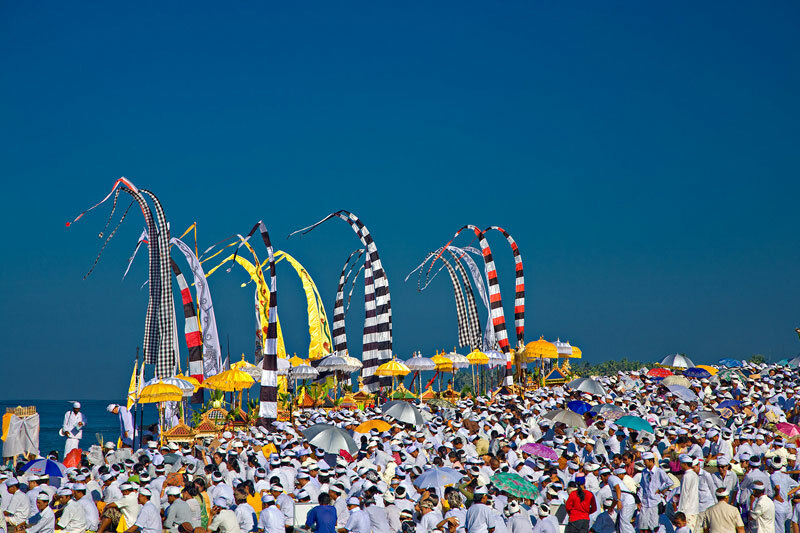 The beach, parades of beautiful Balinese people dressed in ceremonial white clothing, women carrying handmade offerings on their head… it is a stunning sight! I have witnessed the Melasti ceremony once in Lovina (and I didn’t know what it was at that time!). 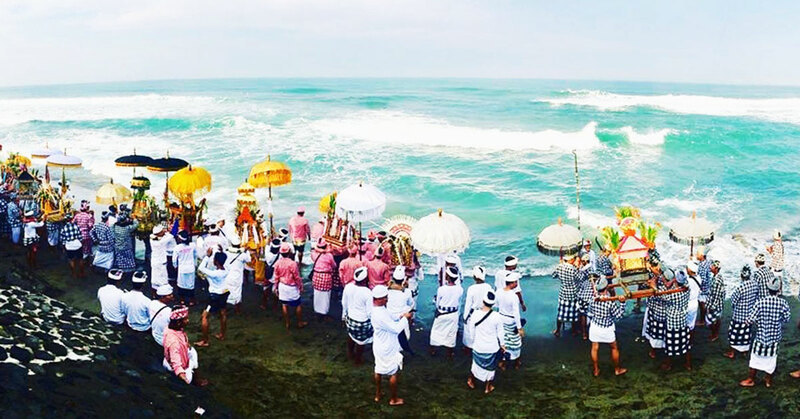 If you get the chance, make sure to make your way to the beach to catch a glimpse of this annual event, which starts 3 to 4 days before Nyepi. The ceremonies at the beach continue to be held all day long (every village participates and takes turns to do their ceremony so you can’t miss it). You will probably catch the enchanting gamelan music from afar – just follow the sound! 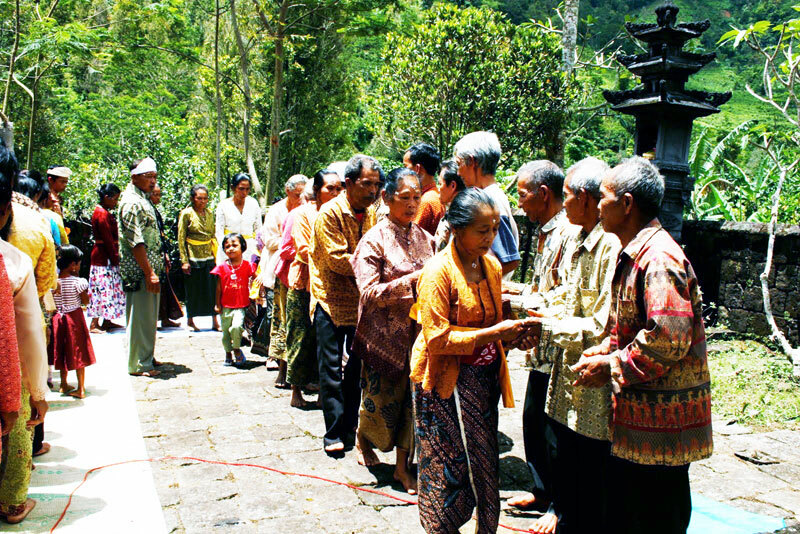 Melasti is a purification ceremony, where people from every village in Bali make their way to their nearest water source. Most ceremonies are held at the beach but they can also be held by the lake or even a water spring for villages located far up in the mountains. 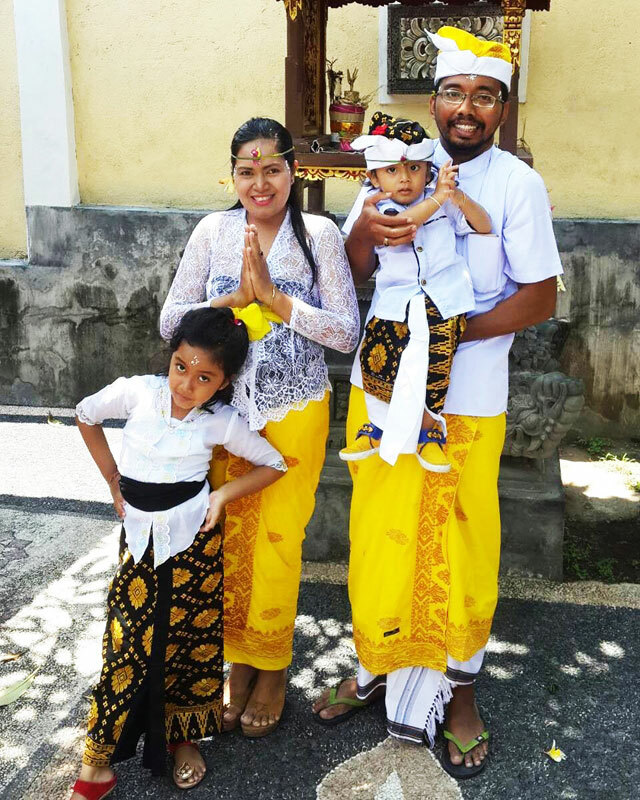 Men, women, children – everyone is dressed in beautiful white traditional clothing. Sacred items from the shrines and temples are brought along for purification. As the offerings are taken away on a boat, everyone prays facing the ocean. The boat returns with holy water that is sprinkled over everything and everyone in order to cleanse and purify. 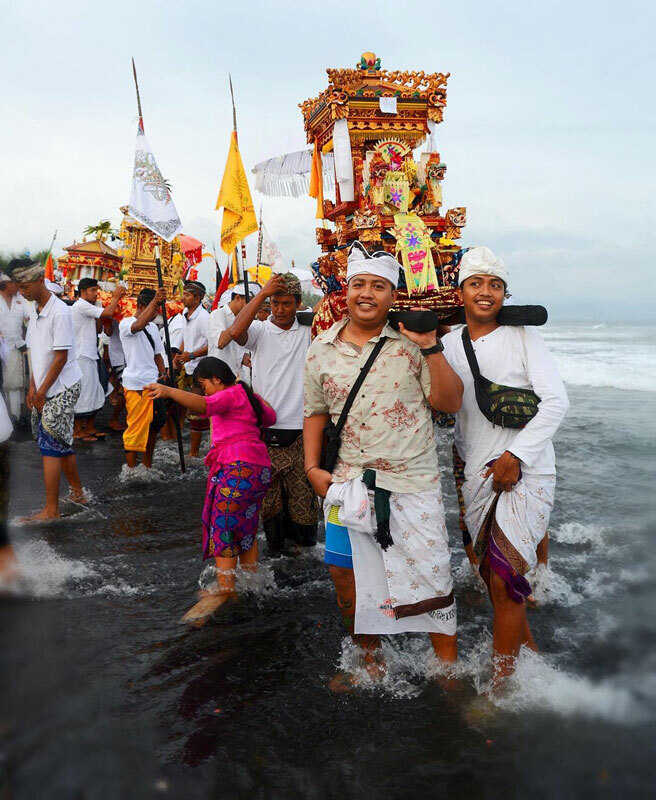 The best place to watch this purification procession are on the beaches in Nusa Dua, Seminyak, Kuta, Sanur or Lovina. When: 2 – 4 March 2019 (Date may vary, depending on the location). Ask the locals! Where: Beaches and lakes all over Bali Island. Ask the locals for the best place to see the ritual. 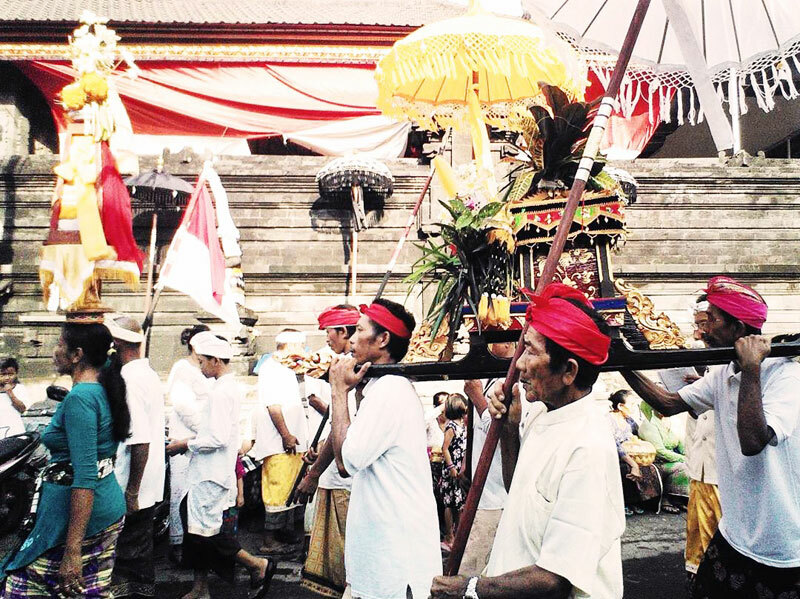 Pengrupukan is held the day before Nyepi. It’s a very important day with ceremonies in the day and the exciting Ogoh-ogoh ‘demon parade’ in the evening. In preparation of the festival parade in the evening, the Balinese bring endless offerings out onto the streets and to the intersection of their village. This is the spot where demons are believed to gather. It is amazing to just stroll down the streets in the day and marvel at the sea of offerings and the scary giant puppets that are still in their sleeping position before coming to life at night. 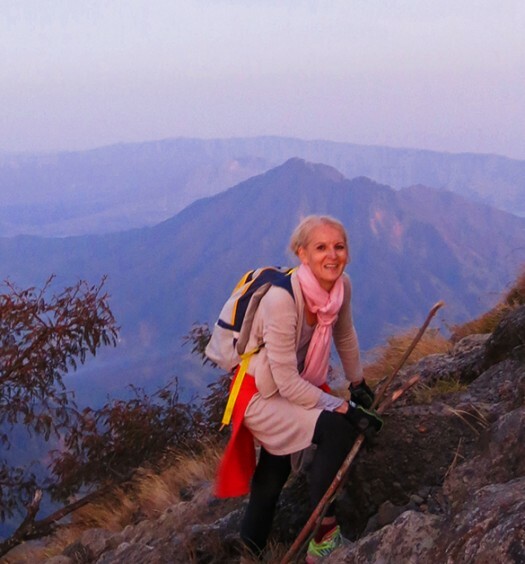 No matter where you are in Bali, just go take a walk and you will be amazed! Ogoh-ogoh is the name of these giant, super scary demon-inspired puppets. They are mythological figures, evil creatures, gods and demons with rolling eyeballs, big claws and bloody teeth that will give you the chills. The scarier and bigger, the better. 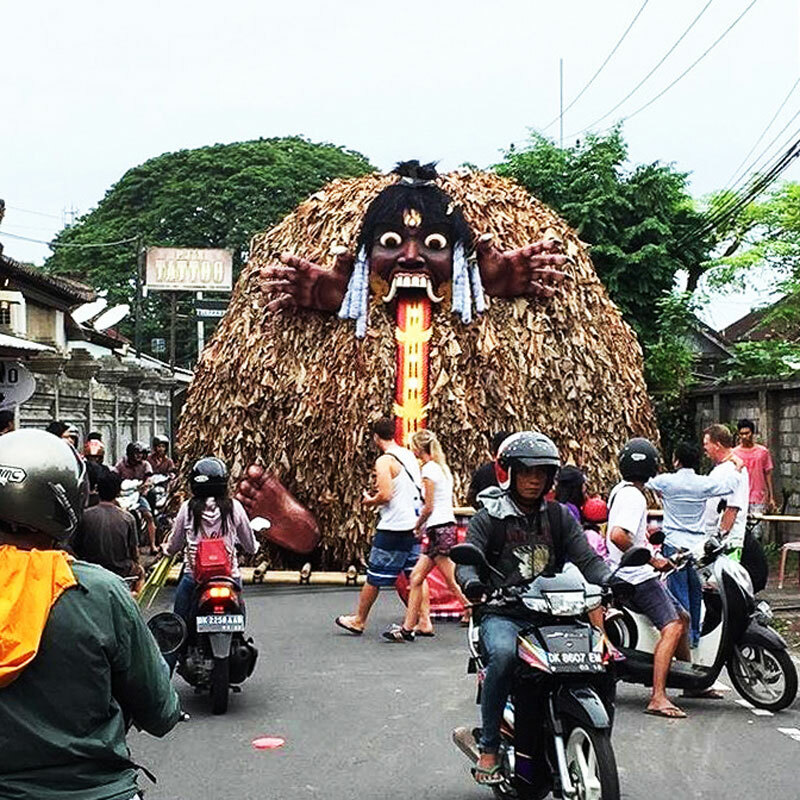 These giant Ogoh-ogoh puppets are handcrafted with light materials such as paper, light timbers, bamboo and foam. 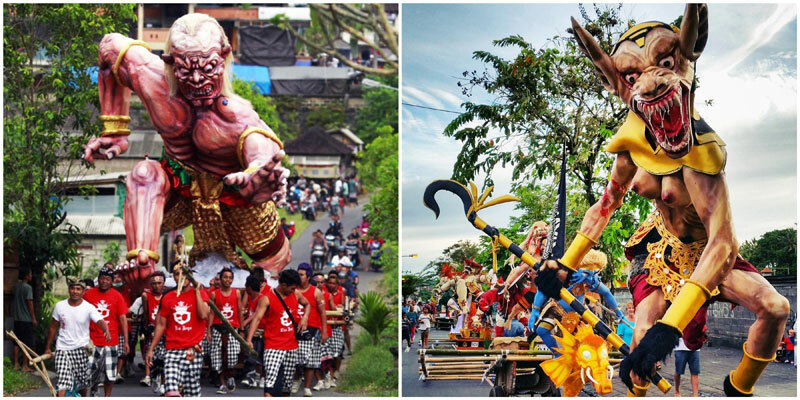 During the Ngerupuk Ogoh-ogoh parade held the evening before Nyepi, these creatures would appear to come to life. The Balinese believe that these puppets, along with all the noises of the gamelan orchestra and and fired torches, attract the demons and evil spirits living on the island. They will inhabit the Ogoh-ogoh monsters and so traditionally, the puppets are burned at the end of the parade together with the demons. In these modern days, the puppets are not always burnt – they are sold instead. Creepy business if you ask me! After sunset around 7 pm, when the dark of the night sets in, the Ngerupuk ritual starts. 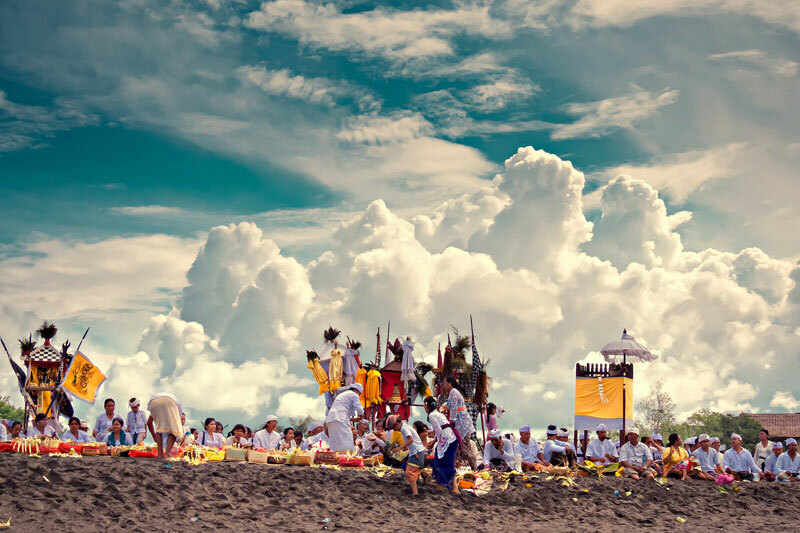 It is the scariest and most exciting Balinese ritual in the whole year. It’s what everybody has been waiting for – the Ogoh-ogoh ‘demon’ parade. 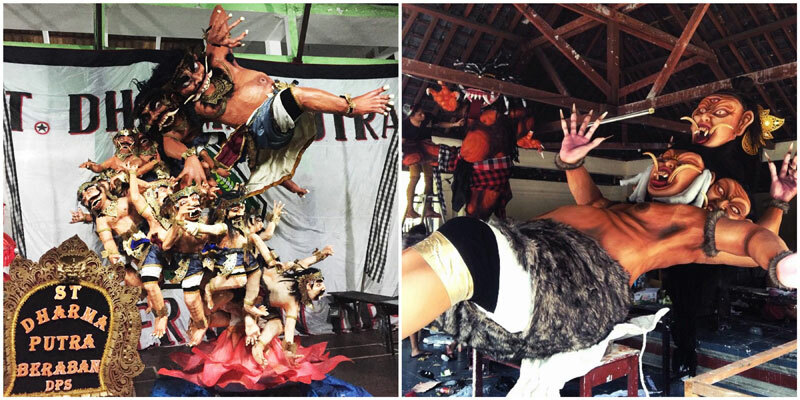 Every village makes its own Ogoh-ogoh puppets and performance dance (which take weeks to complete!). The puppets are then carried on big bamboo platforms that rest on the shoulders of strong Balinese men, who carry them on the streets with pride. The puppets are lined up in the street and one by one they move towards the intersection of the village where the performance is held. The puppets are shaken, turned back and forth and up and down to the enchanting gamelan music, making them appear as though they are coming to life! There are big crowds, fired torches, ceremonial music and demons in all shapes and forms. The parade is also a competition, in which a jury would decide the best puppets and performances, so it gets even more exciting! It is of great prestige to win this competition. The Ogoh-ogoh parades I’ve seen over the years in Kuta, Legian and Seminyak have many Ogoh-ogoh puppets lined up one after another, waiting for their big moment. In the front of each performance group are the kids, holding torches and carrying tinier versions of the Ogoh-ogoh puppets. Behind them, beautifully dressed women carry banners, followed by men playing the drums. Behind them, the Ogoh-ogoh puppet is lifted up above the crowds on the bamboo rack that rests on the shoulders of men. At the end, there is the full-blown gamelan orchestra. I love it everytime! Not only the parade and the huge scary monsters but the whole ambience that fills the streets. Everyone is outdoors, and every town is full of life with families, tourists and street vendors selling fruits, drinks and snacks. Kids are running around in excitement, women chatting with one another, men are squatting on the sidewalk and smoking their cigarettes, while tourists are snapping one photo after another. Everyone is up and awake for this parade of demons before ‘Silence Day’. Where to see the Ogoh-ogoh? 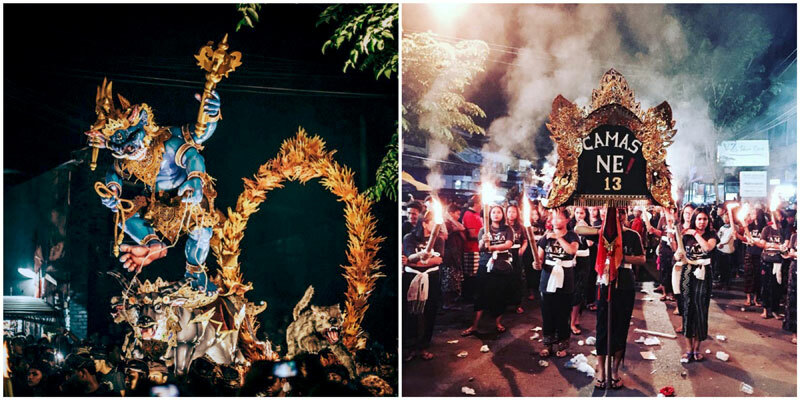 Denpasar, Kuta, Sanur and Ubud are some of the best places to watch the Ogoh-ogoh parades, but every town and village in Bali participates in this festival so you won’t miss it wherever you are. Let the music guide you – simply head towards the junction of the town you are staying in. Expect dense crowds, noise, lights and liveliness till late at night. The paradise starts after dark at around 7 pm. Nyepi Day starts at 6 am and lasts until 6 am the next day. 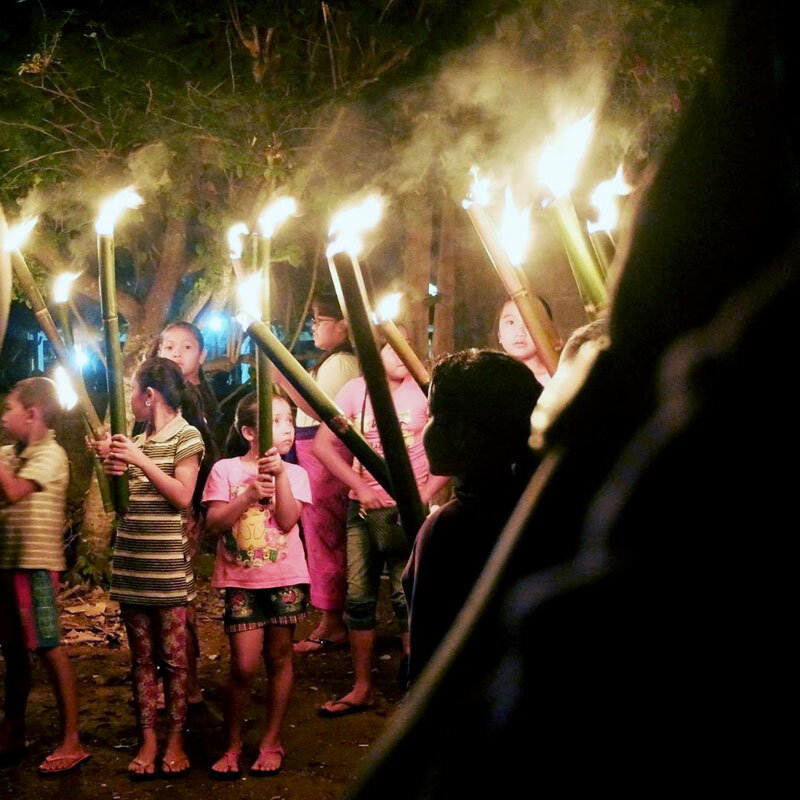 Some island visitors are surprised or disappointed when they hear about Nyepi. They feel that it takes away one whole day of their holiday. I would say, embrace it! Which other place in the world shuts down completely for one entire day? Literally everything shuts down and closes for Nyepi (yes even the airport!). You can’t enter or exit the island, no one is allowed to be out in the streets except for the Pecalang security guards, who patrol the streets with their flashlights. There’s no talking, no lights, no going out, no working, no entertainment. What a day! Nyepi Day is also known as the ‘Day of Silence’. Traditionally, this day is meant to practise meditation and fasting in order to purify yourself, connect with God, and reflect. It is a day to reflect, and I find it really inspiring and beautiful. It’s so easy to lose yourself in the fast pace of today’s world, where you can’t even stop for a second to just be here in the moment and be still for a little while to see what surrounds you, what you have, and who you are. A great way to start the new year! 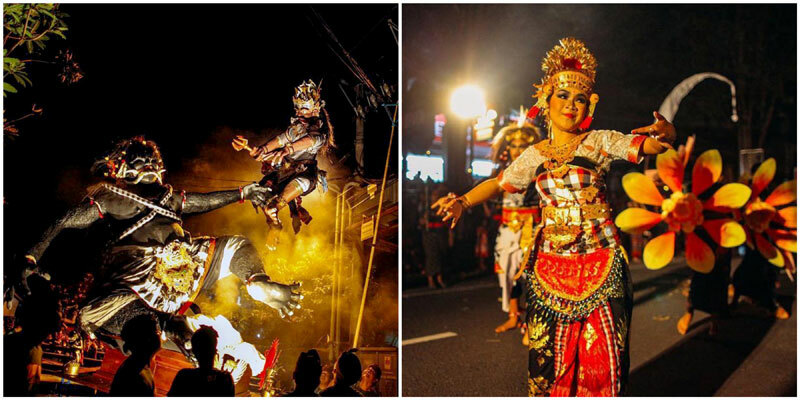 The spooky and superstitious side to Nyepi night is this: The myth goes that demons and gods fly over the island on this particular night, and because it is completely dark and silent, they are fooled to believe the island is uninhabited, so they will pass by without causing any harm. How strictly the Balinese live up to these rules also differs. When I was painting silently out on the porch of my room, the Balinese owner came up to me for a chat. She also offered me food and I think I even heard her TV being switched on in the evening. As tourists, you might enjoy more freedom when staying in a hotel, but do prepare for a quiet day with little activity. One thing is for sure – you will need to stay inside your hotel or there will be dire consequences. You can get fined or you may even get arrested. So don’t joke around with Nyepi Day! Many luxury hotels offer special 3-days-2-nights Nyepi Packages. Depending on which hotel you are staying at and how strict they are, you might be allowed to swim in the pool and make use of the hotel’s onsite facilities. In some hotels, you might also be allowed to have the lights on in your room and watch TV when using the blackout curtains, but it really depends on where you are staying so make sure you find out beforehand. For those really wanting to participate and experience Nyepi, be silent, fast and meditate. If you have the chance to take a look at the starlit sky at night (maybe on the rooftop of your hotel), don’t miss out. 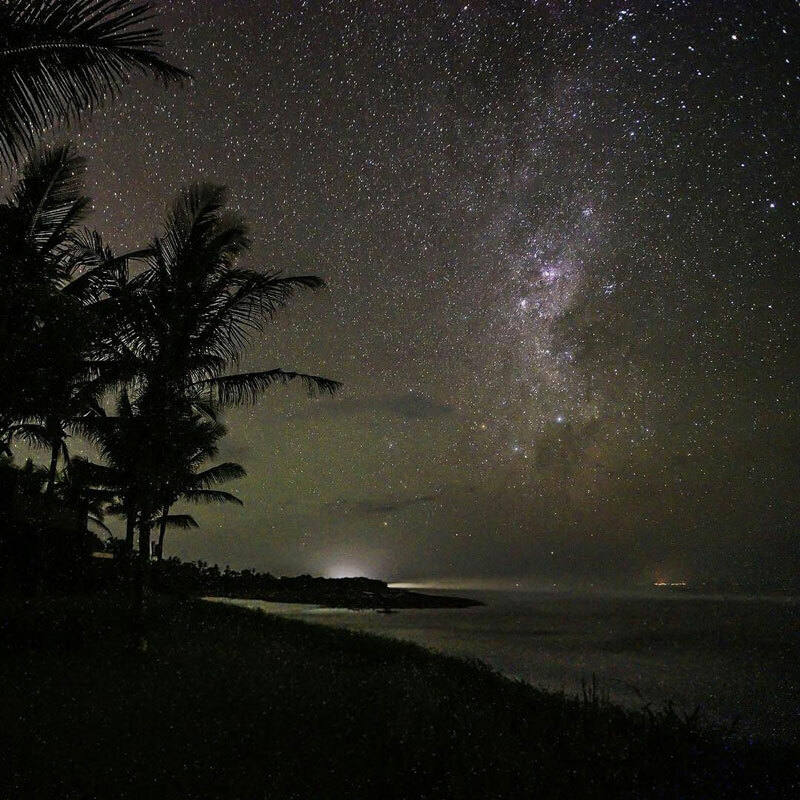 The starry night sky of Bali on a night of complete darkness is breathtakingly beautiful! Never have I seen so many twinkling stars in my life. So magical! 1. Remember that the airport is closed during Nyepi Day, so you need to fly in before the day and fly out after. Please also follow the local rules during Nyepi, stay indoors and don’t wander around in the streets! You don’t want to get into serious trouble during your holiday! When the balance between darkness and light, good and bad, mankind, gods and nature is restored, it’s time to forgive and celebrate! All evil has gone and so now it is time for Ngembak Gen when families gather to ask one another for forgiveness. It is another day of introspection and contemplation on love, kindness and patience, but on this day, there is no need to be quiet and stay in. Spend time with your loved ones, forgive and celebrate! Shops owned by Balinese are closed on this day. 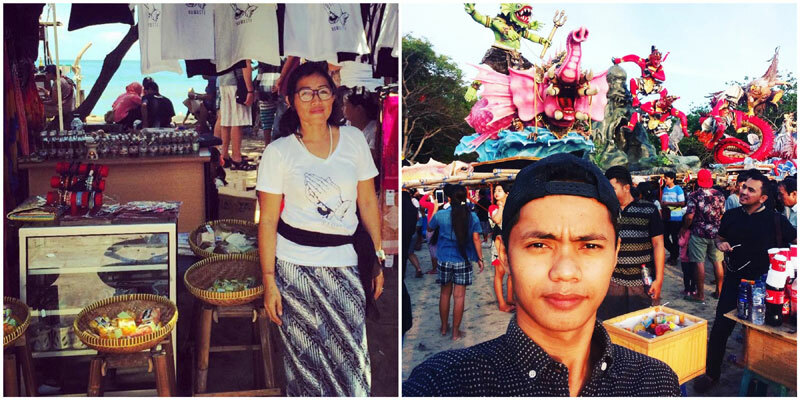 Instead, there is the Pasar Majelangu market held on the beaches of Kuta, Legian and Seminyak. This is an open beach market that starts from early morning and lasts till late in the evening. You can shop for clothes, paintings, souvenirs and more. 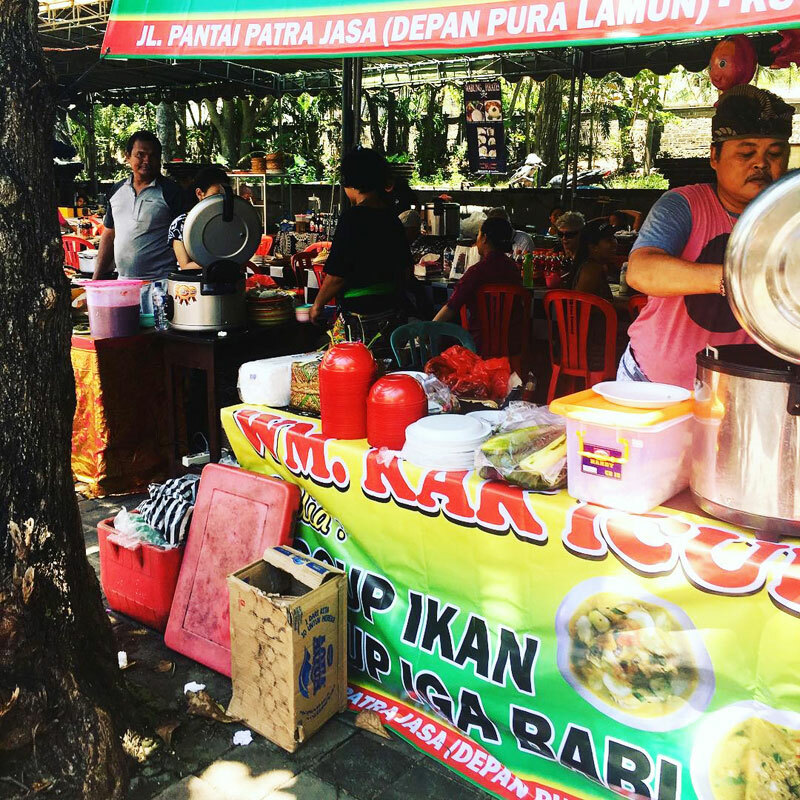 You can also get some authentic Indonesian food from the food stalls! Try the meatball soup called Bakso or go for Jagung Bakar (grilled corn). The beach that runs all the way from Tuban to the end of Seminyak is usually crowded and busy with local families and domestic tourists. Some Ogoh-ogoh puppets are also on the beach so you can take some great selfies with these giant monsters that are now believed to be free from demonic inhabitants. Have you heard of Bali’s mass kissing ritual? Yes, it’s actually a cultural tradition, named Omed-omedan, and it’s just over 100 years old. Held in Sesetan, Denpasar, this fun and strange ceremony is also known as The Kissing Ritual. All young unmarried girls and boys between 17 and 30 years old participate in the ceremony. First all the villagers pray all together, followed by a traditional Barong dance on the street before the kissing ritual starts. The boys and girls are separated and lined up across from one another on the street. The boys pull and kiss the girls while other villagers pour buckets of water over them. Omed-omedan translates to ‘to pull’ and the tradition originates from a fight between a male and female pig, a long, long time ago. 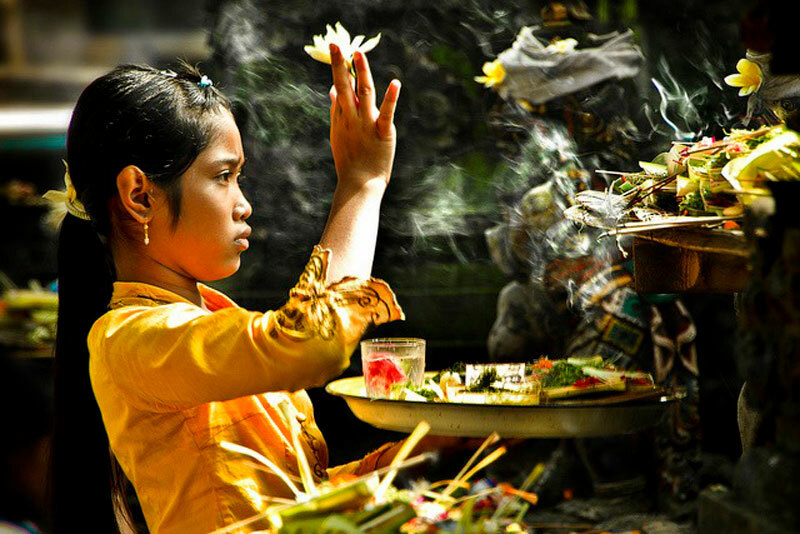 For the Balinese, it represents the pushing and pulling of positive and negative elements (which is represented by boys and girls respectively) and the ritual is meant to give balance. These days, for the young people in Bali, it’s a way to welcome the new year and meet other singles. Apparently, the ritual works as a great matchmaker. The Omed-omedan ritual usually starts around 2 pm. Make sure to come early and prepare to get wet! 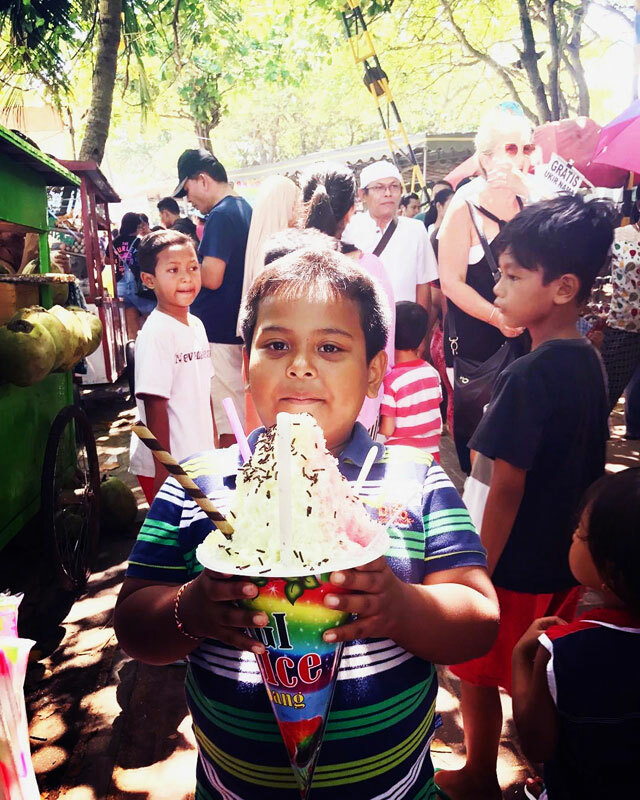 Sesetan will be buzzing with liveliness, excitement, music, street vendors and the whole shebang, like one big cheerful bazaar! Note: The date of Nyepi changes every year, as it is calculated based on the ancient lunar Saka calendar, but it is always held in March. 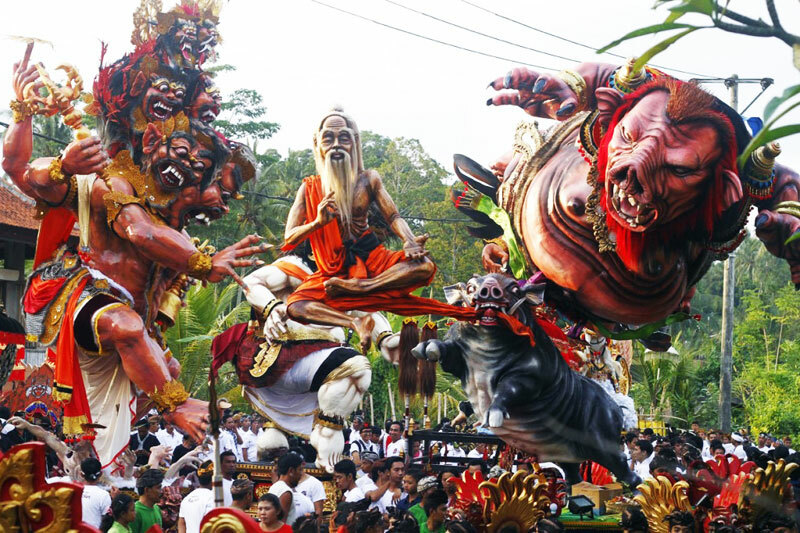 Have you experienced Nyepi in Bali before? How was it like for you? Do share with us, we want to hear from you! Loves traveling, writing, music, painting and creating. 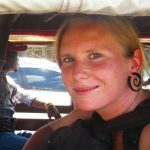 Moved from the lowlands of Europe to a tropical island in the Indian Ocean, to stay!